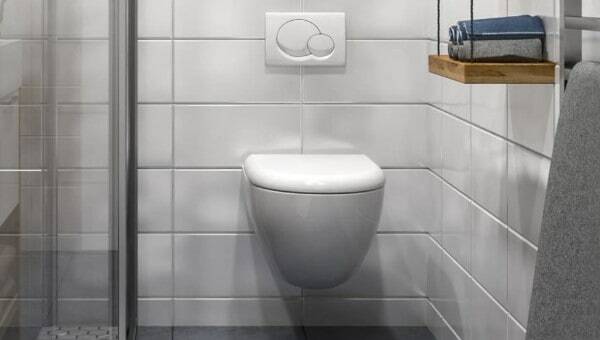 Get a professional toilet installation by Clovis Plumbing Services! Offer applies to the purchase and installation of a two piece toilet. It will take less than an hour for a new toilet installation provided you’ve got everything listed in the section for tools and materials. It is possible to perform a toilet repair if you are in a bind. Removing a toilet is a pretty simple task that most homeowners can handle. But before you get started, here are a few things to keep in mind: toilets are very heavy, so lift the toilet using your legs, not your back to avoid any possible injury. The toilet’s water supply should be turned off. There ought to be a supply valve positioned underneath the left side of the tank and a supply line. Flush the toilet and use a small cup and a sponge to empty out any remaining water. If your intention is to reuse the supply line, detach it from the bowl. If you're replacing the supply line, proceed with removing it from the valve and leave it fastened to the tank. Take out the top of the tank and place it flat on the ground, if possible in a separate room. Ensure you do not support this top on a wall close to where you are working. The tank should be removed from the bowl. With a pair of bolts, attach it close to the middle of the bowl where it connects the tank. From the inside of the tank via the mounting flange at the rear of the bowl, pass the bolts. Finally, just take away the nuts and lift the bowl off the gasket. From the base of the toilet, take away the bolt caps and the closet bolts. Rock the toilet bowl to loosen it from its wax gasket. Expect the gasket to be dirty and it’s usually difficult to clean the wax from regular gaskets off any surface. The drain hole should be plugged so as to prevent the escaping of gases into the area. This ought to be carried out such that your plug will not be able to fall into the line of drainage and block it. Using a putty knife, scrape the putty or wax from the bottom of the bowl and the mounting flange on the floor. Before you install the new toilet, thoroughly clean and level the mounting surface. Feel free to install the new toilet exactly the way you removed the old one - piece by piece. Now that you have successfully removed the old bowl, it is time for the new toilet installation. Firstly, insert the closet bolts in a line parallel to the wall at the back of the toilet. The bowl should be turned over on the floor. Place a blanket or rug underneath it to avoid damage. With the pointed end opposite the toilet, the wax ring should be fixed on the bowl's horn. The hole of the waste drain should be unplugged and the toilet positioned on the closet flange. Install the retainer nuts and washers loosely and ensure that the tapered washers are fixed with the correct side facing up. Put the toilet bowl in position and press down gently against the flange and wax ring in a back and forth motion. After the bowl is in position, tighten up the closet bolt nuts by alternating from side to side so as to distribute the pressure more evenly. Place the bolt caps on the closet bolts. When the toilet installation is done and you have confirmed there aren't any leaks, seal the toilet's base with sealant. It is time to install the toilet tank. Firstly, you’ll need to mount the large rubber gasket over the outlet on the bottom of the tank following the instructions of the manufacturer. The bolts for mounting the tank as well as the rubber washers should be inserted from the tank. Position the tank appropriately and tighten the nuts alternately till the tank is firmly secured to the bowl. Do not over tighten. Following the instructions of the manufacturer, install the new toilet seat. This is an easy step if you make use of the new flexible supply line. The line should not be crimped as doing this will hinder the flow of water and weaken the line, probably causing it to leak or break. After your toilet installation is complete, making some minor adjustments to the flushing mechanism may be required.